Venice, Italy is heaven for seafood lovers. 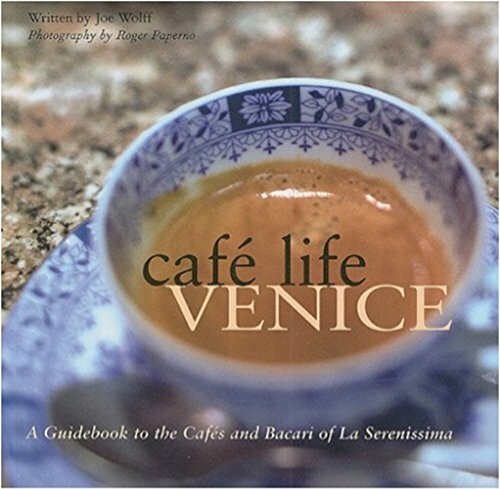 Here you'll find some of the specialties of Venice described as well as restaurants where you can sample them for yourself. Venice, Italy is one of the world's top travel and vacation destinations and certainly one of the attractions of the city is its unique cuisine. 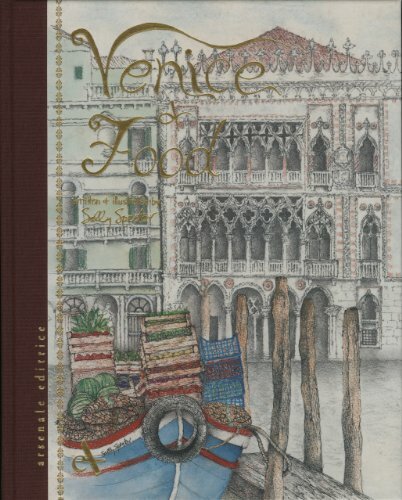 Venetian food is, quite obviously, characterized by its use of fresh seafood from the lagoon and elsewhere around the Adriatic Sea, along with beautiful vegetables and fruits grown on lagoon islands such as Sant'Erasmo. If you are lucky enough to be visiting Venice sometime soon, then you will surely want to sample some of the typical and classic seafood of the city - many dishes you are unlikely to find in restaurants anywhere else! 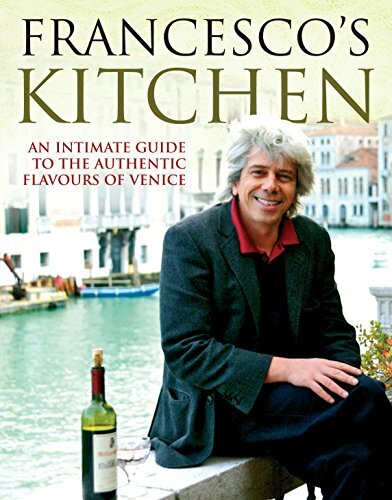 On this page I've presented a tempting collection of photographs and descriptions of typical Venetian seafood dishes and specialties, such as you are likely to find in many of the city's restaurants, trattorias and osterias. 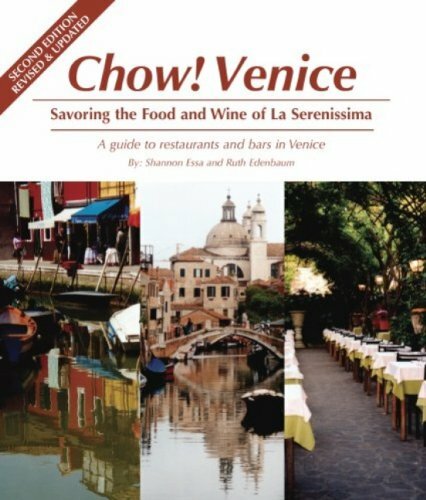 I'll share a little basic information about seafood in Venice (visiting the fish market is a must!) 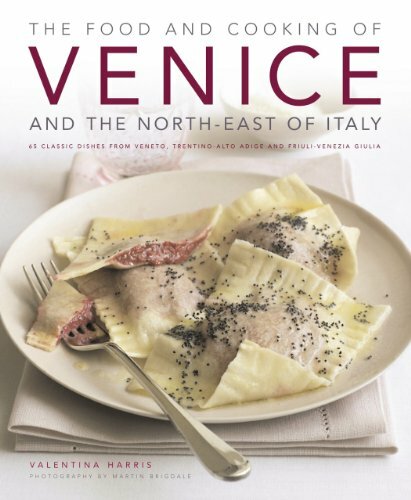 and also cookbooks you can buy to try your hand at preparing these Venetian specialties at home. 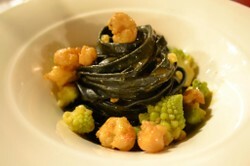 Photo above: Squid Ink Tagliatelle with Scampi and Romanesco Cauliflower - an artistic presentation of a Venetian food classic from Ristorante Vecio Fritolin in Venice, Italy. All images on this page are by the author, sockii, unless provided by Amazon. 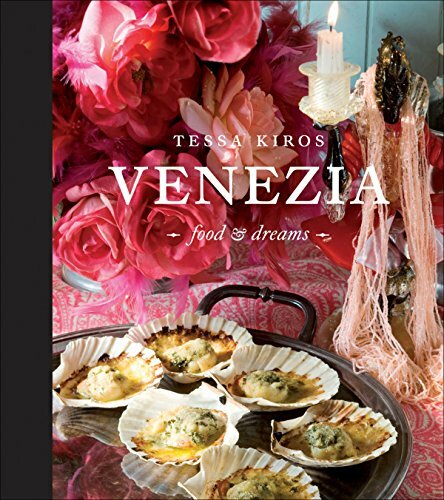 Venetian food has always, of course, been intimately tied with the sea. The first settlers in the Venetian lagoon came there to flee the barbarian hordes on the mainland of Northern Italy, after the fall of the Roman Empire. 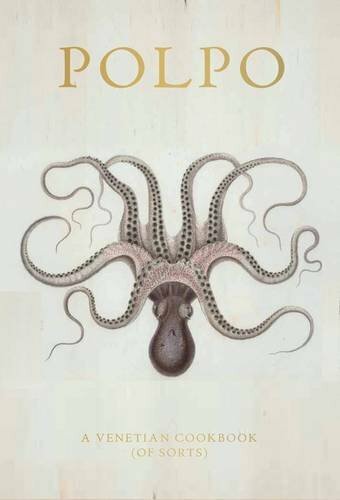 Living in a fragile, water-bound environment, the Venetian lagoon provided food as well as shelter - and as Venice grew, it began to become powerful all on its own due to trading in salt and - you guessed it - fish.With its increasing trading power, Venice had access to exotic spices from throughout the world. Yet in my experience, most Venetian cuisine allows the fresh and pure flavors of their ingredients to shine through, although certain spices such as saffron, pepper, ginger, cloves, poppy seeds and nutmeg add subtle hints of delight. Sign proclaiming the required sizes of fish sold in Venice at the Rialto Market. What will you find at the market today? Branzino? Scampi? 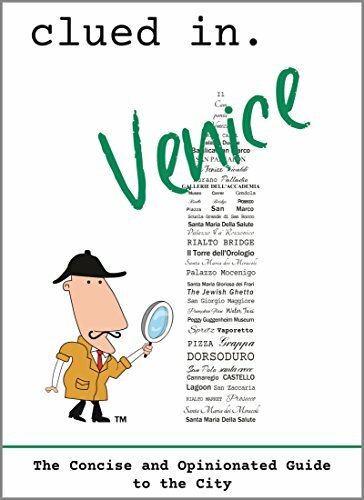 Ready to start planning a trip to Venice? "Sarde in Saor" is a classic fish dish served in nearly every restaurant in Venice as well as the city's Cicchetti bars. Traditionally, sardines are fried and then marinated in a vinegar-based dressing of onions, pine nuts, raisins and white wine. It is served either on its own or with grilled polenta to make a more satisfying first course or antipasti. Spider Crab Venetian Style generally is a light salad of fresh crab meat served in the shell from which it came. The dressing is a simple combination of salt, pepper, parsley, olive oil and lemon juice. Spider crab is also popular tossed with pasta and fresh tomatoes. Image above: Granseola in insalata at Ristoranti al Vagon in Venice. Two classics of Venetian seafood which are worth trying are scallops served in the shell and razor clams. While the scallops might be familiar to many of us, the razor clam can be a surprise - but don't be put off by their unusual shape! If you like "regular" clams, you'll surely enjoy the flavor of these uniquely shaped clams, often served grilled with just lemon, olive oil and the lightest of seasonings. Image above: Cannolichi and Cape Sante at Trattoria al Gatto Nero on Burano. 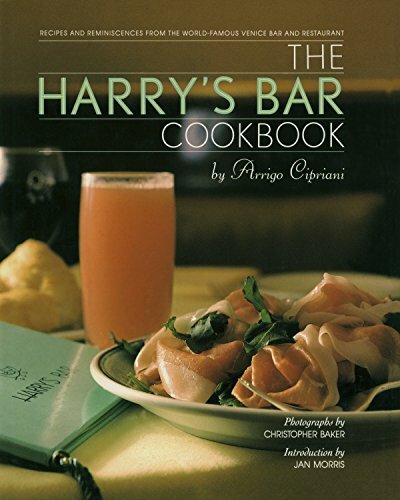 Carpaccio is a dish which claims its heritage from Venice, at the legendary Harry's Bar. That classic version is typically prepared with thinly sliced meat of the highest quality, lightly marinated with lemon and olive oil then dressed with shaved cheese and salad greens. However, in Venice today it is also popular to serve a carpaccio of fresh or smoked fish: tuna and swordfish are frequently prepared this way because of their "steak-like" meat. Image above: Swordfish and tuna carpaccio at Trattoria la Rosa dei Venti in Venice. Many Venetian restaurants will offer some kind - or perhaps numerous kinds - of mixed seafood antipasti. This is a wonderful way to sample a variety of different offerings, often artistically arranged and plated. It can contain any of the items listed above along with other specialties like grilled cuttlefish, folpeti (a tiny variety of octopus), canoce (sweet shrimp), Baccal Mantecato (creamed dried cod), marinated raw salmon ... the list is almost endless! What's nice about ordering one of these platters is it will typically amply feed two - or more - and even if you don't like everything you try, you'll likely find something new to love you've never tasted before. Image: Antipasto misto di pesce at Bacarando Ai Corazzieri in Venice, Italy. This is a visually surprising dish to anyone who has never encountered it before! Spaghetti al Nero di Seppia is prepared using the ink from fresh squid - the flavor is earthy and rich with the flavor of the sea. Risotto can be prepared and served in a similar fashion - you've got to try it at least once when in Venice! Image: Spaghetti al Nero di Seppia at Trattoria da Fiore in Venice. More classic and familiar to many travelers will be spaghetti with clam sauce - although (Italian-)Americans may be surprised to find how light and fresh the flavor is, compared to the garlic-y, wine-based sauce often prepared at home. A true Venetian spaghetti or linguine with clam sauce will be served with the clams still in shell and just a touch of garlic perhaps, along with fresh parsley and a sauce flavorful with either butter or good quality olive oil. Image: Spaghetti alle Vongole at ristorante a beccafico in Venice. Bigoli in salsa is a dish which traces its origins to the Venetian Ghetto. The hardy whole wheat or buckwheat pasta makes for a pleasant contrast to sweet onion and strongly-flavored fresh anchovies.By tradition, this pasta is typically eaten the night before the Venetian festival of La Festa del Redentore on July 19th, an event which commemorates the end of the devastating plague of 1575-1576 which killed 50,000 in Venice. However, visitors to Venice can enjoy this meal almost anytime in numerous restaurants in the city. Image: Bigoli in Salsa at Bacarando Ai Corazzieri in Venice. Seafood risotto may be prepared from a mixture of different fish and shellfish, or a single kind of fish by itself. A quality seafood risotto should use fresh homemade fish stock as its base for flavor, and not be overwhelmed by other seasonings. Because of the time involved in freshly preparing risotto to order, in Venice it often must be ordered by two or more at a table. Image: Risotto ai Frutti di Mare at B Restaurant Alla Vecchia Pecheria on Murano. A "fritto misto", or mixed fry, is a classic "secondi" of Venetian cuisine. The freshest shellfish and small fish of the day are lightly fried and served with fried vegetables such as green and red peppers, squash or potatoes. With a squeeze of lemon, it's a wonderful dish to share after some antipasti or pasta. The best "fritto misto" will feature a nice mixture of fresh seafood from scampi and calamari to canoce, sardines, orata (sea bream) and vongole (clams). Image: Fritto Misto at the Ostaria al Garanghelo in Venice. Although more truly a first course in most Venetian restaurants than an entree, fish soup can be very hearty and filling on its own. It should feature a mixture of different fish and shellfish of the day, cooked and served in a flavorful tomato-based broth. Be sure to enjoy that broth as much as the fish itself, sopping it up with some nice crusty bread! 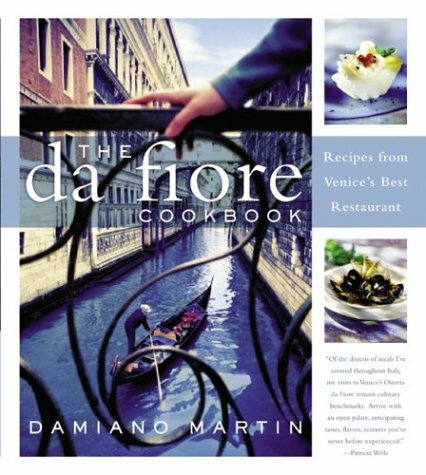 Try Food & Wine magazine's Venetian Fish Soup Recipe if you'd like to attempt making it at home. Image: Zuppa di Pesce at Ostaria al Garanghelo in Venice. This is another dish which will of course vary in style and presentation depending on what's fresh at the market, where you order it, and for how many people! Again, it is all about the freshness of the fish as little is used to season it beyond lemon, olive oil, salt and pepper. As shown here, this mixed grill contained sea bream (orata), sea bass (branzino), langoustine and large shrimp. Of course, most restaurants will then filet the whole grilled fish for you table-side. Image: Grigliata di Pesce at Osteria al Pozzo Roverso in Venice. Eel is quite popular in Venice - on Murano it is even celebrated once a year cooked in the glass-making furnaces with salt and bay leaves. But more commonly one will encounter it served grilled (don't miss the crispy skin) or served "alla veneziana" - cooked in a sauce made from tuna and lemon. Eel is a pretty fatty and rich fish, so a small portion can go a long way! Image above: Anguilla alla griglia at Trattoria al Gatto Nero on Burano. An ugly fish with a wonderful taste! The Monkfish is an ugly beast - mostly head and mouth with a relatively small body and tail. The tail is what you will find served in restaurants around Venice, traditionally grilled, and it may make an appearance in a fish stew as well. I never particularly cared for monkfish until having it Venetian style, where it truly earns it's name as the "poor man's lobster" with its sweet taste. Indeed, the preparation of monkfish at Antica Locanda Montin is internationally famous! Image: Grilled monkfish at Ostaria Al Ponte "La Patatina" in Venice. Last but not least, perhaps my favorite seafood specialty of Venice is the mixed seafood pizza. Yes, it might seem kind of intimidating to order a pizza and have it come to you loaded with clams, mussels and langoustine - shell and all! There might be shrimp still with heads and tails on staring you down. But don't let still incredible pie get the better of you. It tastes so delicious because all that shellfish cooks in the pizza oven, releasing their flavorful juices onto the pizza. This is definitely a pizza to enjoy with a knife and fork (and a bowl nearby) for those shells. Besides the shellfish there should be nothing but some tomato sauce and/or tomato juice - no cheese allowed! Image: Pizza ai frutti di mare at Osteria al Bacareto in Venice. Some interesting and good foods, but I would pass on eel. Never tried eel and do not plan to. The vaporetto water bus system is the main way to get around Venice, Italy - besides walking! 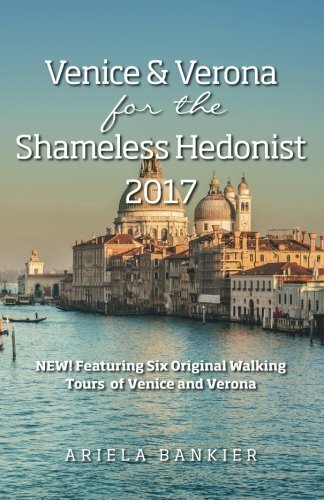 Learn how to use the system as a great way to explore the entire Venetian lagoon. 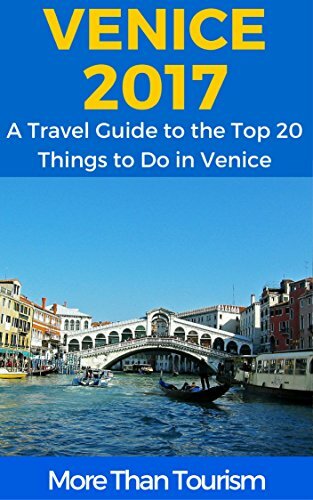 If you're planning a trip to Venice, Italy, you should definitely do your research first to get the most from your vacation. These 5 books will certainly help!